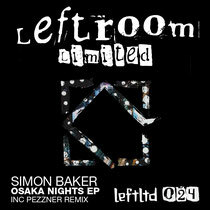 Late March sees Simon Baker return to the Leftroom label roster with the ʻOsaka Nightsʼ EP on Leftroom Ltd – a three-track EP featuring a further two remixes from Seattleʼs, Pezzner. 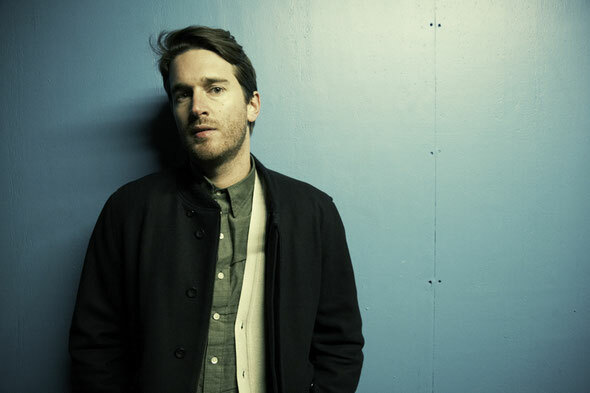 Simon Baker, after delivering a series of singles for his own imprint from 2005 to 2007, has steadily become one of the new school of house musicʼs leading lights. A debut LP and slew of singles for the 20:20 Vision label alongside the track that was ʻPlastikʼ on Playhouse have made the Yorkshireman one of the most in demand producer/DJs out there. Itʼs one of the destinations of touring that has resulted in the ʻOsaka Nightsʼ EP, Bakerʼs first for close-friend Matt Tolfreyʼs imprint since 2008. The title cut bursts open the ʻOsaka Nightsʼ EP with a piercing, phased vocal hit and a ponderous electronic- funk bassline. Moody and absorbing, the openerʼs drunken drum fills and metallic synths combine with the beats/bass undercurrent in perfect balance. Pezzner steps up for the first of two remixes of ʻOsaka Nightsʼ and in ʻremixʼmode delivers a glowing interpretation littered with otherworldly synth flourishes and leads which layer into a warm yet intense texture. Bakerʼs ʻPick Em Upʼ uses skittering, busy percussion and guttural bottom end to underpin a brutally effected titular vocal hit and bubbling synths that makes for a muscular groove. The addition of flowing FM sounds and an airy, almost human, modulated pad push the tune into overdrive. ʻHuman Mysteryʼ is the last of the original tracks and treads a decidedly old school, early-80s path with squelching moog bass, broken beats and shimmering synths. Pezznerʼs ʻNative Language Remixʼ of ʻOsaka Nightsʼ closes the EP with an introspective, stripped feel. The originals vocals flow over a skeletal drum track and an unhurried melody before building towards a teasing climax that subsides almost instantly. Out 26th March, check it out below.